Choosing the right memory card for your new DSLR or Mirrorless camera is often treated as a trivial task and is usually overlooked by new photographers. 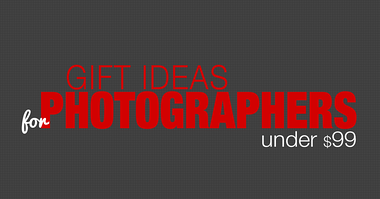 Choosing the wrong card can cripple the functionality of an expensive camera. To make the right choice, we need to understand four crucial parameters of any memory card. First, we need to select the right type of memory card. Second, it must be fast. Third, the volume capacity must be big enough to store thousands of images. Fourth, it must be reliable and minimize the risk of losing our precious photos. With the introduction of digital cameras years ago, numerous companies introduced different memory formats, which made life difficult for ordinary consumers. At one point, there were six different memory formats. I believe that Sony caused the biggest headache for photographers. They introduced the Memory Stick in a proprietary format used in all their devices and, for a long time, refused to adopt the widely used Secure Digital (SD) and Compact Flash formats. But, in recent years, the format wars have wound down with a clear winner emerging—the Secure Digital (SD) format, which became the status quo for most cameras. Although Compact Flash is still present, it’s only found in a few Nikon and Canon cameras. Now, if you buy a new digital camera from any manufacturer, it’s 99.9% likely that it will use a Secure Digital (SD) card. 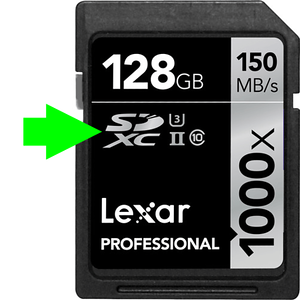 SD cards have evolved over the years in terms of their speed and capacity. The original SD card had a capacity limit of only 2GB. 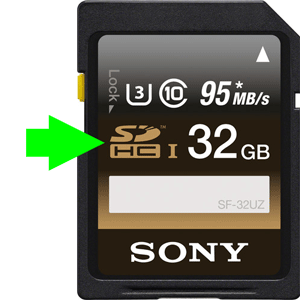 By introducing a new file format, it was possible to increase the capacity of the card to 32GB. The suffix was added to the SD name making it the Secure Digital High Capacity (SDHC). 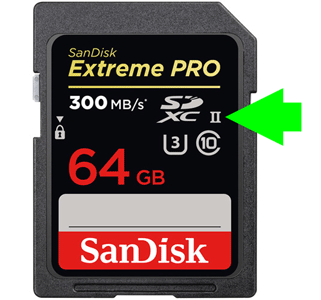 The last iteration of the SD card is the Secure Digital eXtended Capacity (SDXC) version that allows increasing the card’s capacity up to 2TB (theoretically, at least for now). What this means is that pretty much any memory card you purchase today will have SDXC marking. When you take pictures with your digital camera, the photos are not directly saved to your memory card. Instead, they are placed into an internal camera buffer, which is similar to the random access memory (RAM) that’s found on any computer. The buffer allows us to record digital images at extremely fast speeds. Images temporarily stay in the buffer while they are being recorded to the camera’s memory card at a significantly lower speed. This is where the speed of the SD Memory Card plays a critical role. For example, my camera can hold a maximum of 22 RAW files in the buffer, so it takes only a few seconds of continuous shooting to fill it up. It takes about 20 seconds to move those 22 RAW files from the buffer to the SD memory card. If I use a slower card, it takes more than a minute to empty the buffer before I can start using my camera again. This is where most confusion occurs when selecting the right card. 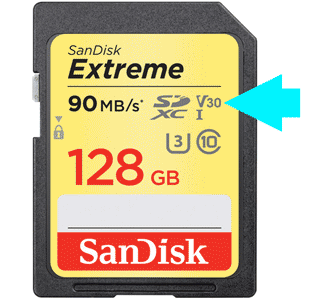 Most memory card manufacturers specify the speed of the card on the card itself. The speed is measured in megabytes per second (MB/s). The speed indicates how fast the data can be read from the card (Read Speed). 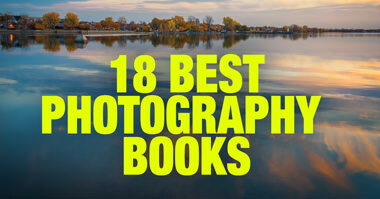 But, as photographers, we do not really care much about Read Speed. When we’re outside shooting, what really matters is how fast the data can be written from the buffer to the card, which is the Write Speed. I blame the marketing strategies of card manufacturers for this confusion. Since the Read Speed is always higher than Write Speed, it is a common marketing practice to display the Read Speed even though it can be misleading. The Read Speed is only important when we need to transfer the photos from the memory card to a computer. For me, it does not really matter if it takes a few extra minutes. But, I have to admit that for sport or event photographers who transfer images during an event, it can be paramount. 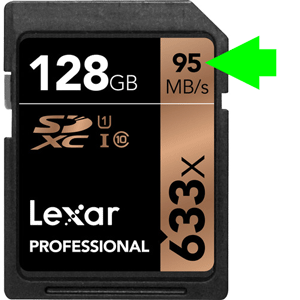 For example, if you check out the Lexar 128GB memory card, it indicates that the card speed is 95 MB/s, which is very high. But, if you dig deeper into the specifications, you can find that the actual Write Speed is only 20 MB/s, which is not overwhelmingly fast. Before buying, always check the memory card specifications to determine the card’s Write Speed. If you cannot find it, simply avoid buying it. 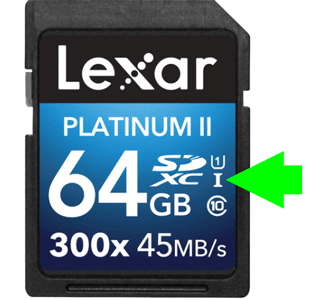 The maximum Write Speed of any memory card indicates only the burst speed, which cannot be sustained for a long period. This issue is not too critical for still photography, but if you shoot high definition videos with your camera, the Write Speed must be fast and constant for an extended period. This is when the notion of a Minimum Write Speed was introduced. The Minimum Write Speed indicates the fastest speed that can be sustained for a long period and never falls below that value. U3: Minimum 30 MB/s Write – best suited for 4K recording. At this point, the most common classes are: U1, U3 and Class 10. With the development of new video formats (4k, 8k, 360 videos), the SD Association felt the need to create a new speed rating dedicated to video recording. So far, there are four speed classes, which is just another way to indicate a Minimum Write Speed for any particular memory card. If you thought the information above was confusing, I have bad news for you—there are more SD card variations that directly affect the speed of the card. Not long ago, a new variation of the SDXC card was introduced. It features a much faster bus speed and, to sustain that speed, new pin connections were also introduced. At this point, there are two types of cards—UHS-I and UHS-II. It is easy to tell the cards apart by looking at the back. USH-II cards have two rows of pins and the UHS-I card has only one row of pins. Important. Please note, to take advantage of the higher bus speed and, as a result, the faster Write Speed, you need a camera with UHS-II support. If you use the USH-II card with a camera that only supports the UHS-I interface, the speed will default to the UHS-I values. The megapixel count of the camera’s digital sensors gradually increases what affects the size of digital files the camera produces. For example, my Fujifilm XT2 produces RAW files approximately 25MB in size. If I had a 16Gb memory card, I could store only approximately 640 images. This means that I would have to use multiple cards throughout the day, which is not very practical. The good news is that in the last five years or so, the price of digital memory has drastically gone down. Now, the price of SD Memory cards is not as prohibitive as it was in the past. This allows me to buy the SD Memory cards with a larger volume capacity that I really need and use them as an additional backup device. During my photography trips, I never format my memory cards and never delete the new photos from them. I only format them when I am back home and all the new photos are safely backed up to the cloud. At this point, all my memory cards have a storage capacity of 64Gb and 128Gb. Lastly, you must make sure the memory card you purchase is reliable. There are two major factors that affect reliability—quality and authenticity. First, make sure to buy cards that are manufactured by known and reliable brands like SanDisk, Lexar, Sony, Kingston, Transcend, PNY, Fujifilm and Samsung. You should specifically avoid buying unknown brands from Asia. Second, buy cards from reputable retailers to avoid running the risk of purchasing counterfeit cards. For example, B&H Photo and Adorama are safe choices. If you prefer to shop on Amazon, make sure the cards are sold and fulfilled by Amazon or by a retailer you trust like SanDisk or Adorama. Try to avoid buying from eBay or suspect online stores. 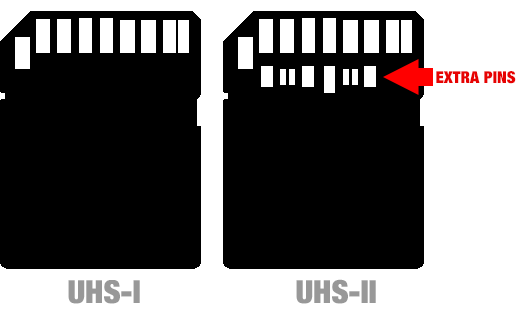 UHS-I SD memory cards compatible with all camera models. How Long Do SD Cards Last? 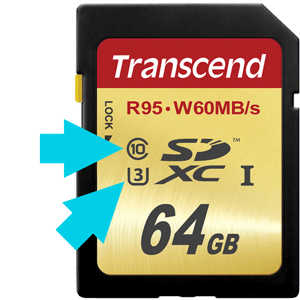 This is one of the most popular questions I am asked about SD memory cards. Even though it is a valid concern, let me assure you that SD memory cards are the most durable and longest lasting pieces of photography equipment. According to technical specifications, modern SD memory cards have a minimum life of 100.000 write cycles. This means that if you format your SD memory card three times each day, it will last for 100 years. From my experience, the two main reasons for memory card failure are mistreatment and purchasing counterfeit or low-quality memory cards. Select memory cards that are manufactured by respected brands. These companies always use high-quality flash memory. 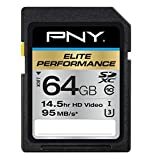 Purchase memory cards from reputable retailers. Format your memory cards with your camera, not with your computer. Do not edit your photos directly from the memory card; transfer them to your computer first. 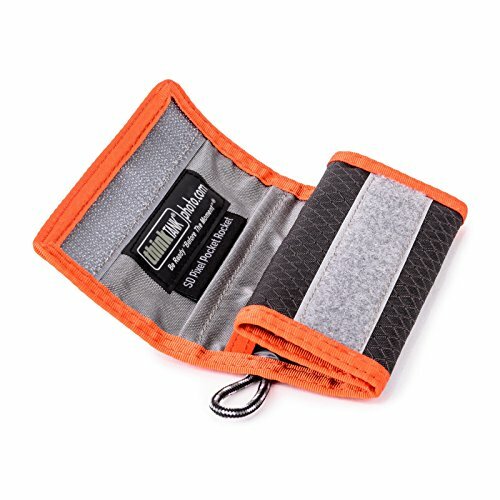 Use the protective case to minimize the risk of physical damage and accidental loss. Viktor… Thanks, thanks and thanks for the great story. The information was well organized and very clearly presented. Although I have some general knowledge in this area there were many things I learned. I really appreciate your presenting this material, especially in such an understandable manner. One of the most informative articles yet. Thank you for “unmystifying” the nomenclature.